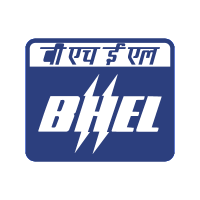 BHEL Recruitment 2019: Bharat Heavy Electricals Limited (BHEL) invites application for 145 Engineer Trainee & Executive Trainee in various disciplines. The detailed eligibility and application process are given below. BHEL –Bharat Heavy Electricals Limited (BHEL) is a govt engineering and manufacturing company which has headquarters in New Delhi.BHEL operates in various manufacturing units and repairing units. It also has 8 Overseas office across the globe.BHEL works in the sector of Electrical equipment manufacturing like generators, Motors, Turbines, Switch Gears etc. BHEL mostly hires Engineering graduates for the development and operations of their projects. They also hire other graduates for there Management and for Offices. Electrical engineers who wish to join/work in their core field can try BHEL Job vacancies. Candidates who completed ITI or Diploma also join BHEL Apprentice. At present BHEL announce Job vacancies for Engineer Trainee/Executive Trainee which has listed below. Full-Time Bachelor’s Degree in Engineering/Technology or Five years integrated Master’s degree or Dual Degree programme in Engineering or Technology in the disciplines of Mechanical or Electrical or Civil or Chemical Engineering from a recognized Indian University/ Institute. Two years full-time regular Post Graduate Degree/Diploma in Human Resource Management/ Personnel Management and Industrial Relations/ Social Work/ Business Administration with specialization in Personnel Management or Labour Welfare or HRM from a recognized Indian University/ Institute with minimum 55% marks in aggregate of all years/semesters. Electrical, Instrumentation & Control, High Voltage Engg. Eligible candidates will have to appear for a Computer Based Examination. Based on the Examination Marks and requirement, candidates will be shortlisted for Interview in order of merit. The final merit list shall be prepared on the basis of 75% weightage to Examination Score & 25% weightage to Interview Stage. Mode of Payment: Online mode through Internet banking/Debit card/ Credit Card etc. How to apply for BHEL Recruitment 2019? All interested and eligible candidates apply for this position in online latest by 6 May 2019. Commencement of online submission of applications: 16th April 2019 (10:00 PM). Closing of online submission of Applications: 6th May 2019 (11:45 PM). Closing of online Payment: 8th May 2019 (06:00 PM).